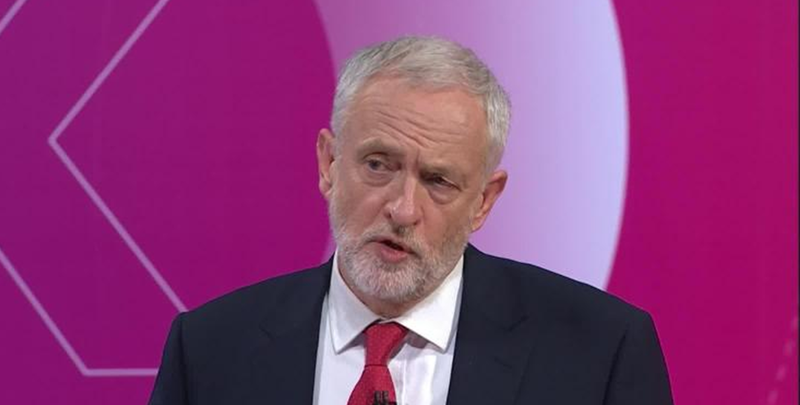 Friday night’s Question Time saw Jeremy Corbyn attacked for not endorsing the use of nuclear arms. Although the Labour Party has confirmed their renewal of Trident should Jeremy Corbyn be handed the keys to Downing Street this week, My Corbyn has stated that he cannot foresee the use of nuclear weapons. Bizarrely, some people seem horrified at his suggestion of attempting peace, rather than firing a death package. The world is rich with differing opinions, but this open endorsement of killing millions is not right. The reality of using nuclear weapons is not a quick blast. Only twice have we seen the dropping of nuclear bombs- in Hiroshima and Nagasaki- and given that modern technology will prove far more powerful than the effects back in 1945, the devastation today would be tremendously greater. 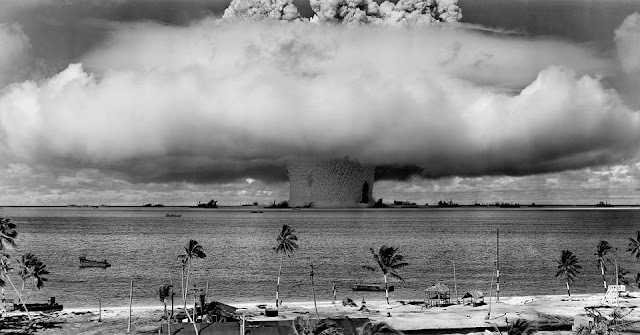 When a nuclear bomb is dropped, the initial heat flash causes instantaneous death; evaporation of flesh. Those sheltered would be killed indirectly, as buildings collapse and oxygen consumed from the atmosphere. Immediate survivors would already be suffering from burns, blindness and other fatal injuries. However, this would be only the beginning of the effects. The radioactive fall-out would swiftly begin playing its part, resulting in a range of problems, such as hair loss, ulcers, internal bleeding and ultimately death. Those who do survive could live the rest of their life with numerous issues, such as miscarriage and damaged immune systems. Even twenty years on, the lingering radiation can still affect the population, with thyroid cancer in children particularly making an appearance. Dropping a nuclear bomb is not the same as firing a gun; the catastrophic consequences remain for years, affecting even those not present during the immediate action. Of course, it is easy to see only the physical atrocities that result, but many other political and social complications would arise. People begin thinking differently; acting differently; perhaps steering clear of areas which posed the risk of being a target. As soon as the first nuclear weapon is fired, the idea of a nuclear war becomes a reality. Promoting the death of millions of people is in no way a logical solution, and yet when Corbyn rebuked the use of nuclear weapons people were in uproar. The Question Time debate seemed to link the use of nuclear weapons to counteracting terrorism. Terrorism is becoming a frequent headline, with the third UK terrorist attack in three months hitting London last week. Undoubtedly, as nearby cities and children’s concerts are targeted, anxiety is rapidly rising. However, one thing must be remembered- nuclear weapons will not defeat terrorism. These terrorists want us to get wrapped up in fear and hysteria, diverting our logical thinking to irrational solutions. Britain cannot bomb itself to victory. How can we condemn murder on one hand, and yet openly endorse it when nuclear weapons are involved? Idealistically, all countries would disarm and we could live in a nuclear-free world of cooperated peace. Rather than forking out another £167 billion to renew the Trident programme, such money could be put into the welfare state, the NHS, education; the real priorities. The reality, of course, is hardly peaceful, but Jeremy Corbyn’s alternatives should not be scorned. In fact, he should be praised for taking a stand against nuclear weapons. On this he is not alone; although more than 20 nations possess nuclear power, only 9 have actual nuclear weapons. There are always alternatives, and we should not underestimate British forces and British intelligence. The Cold War era is long gone. If mass genocide becomes the only solution, then something has gone seriously wrong along the way. Just that, its idealistic to expect a time when nuclear weapons are "un-invented". Why don't people use horse and carts anymore? Because the car is superior in every way. Like them or not, nuclear weapons have prevented any of the major powers from going to war since WWII. The western hemisphere has known peace because of these weapons, not despite them. Russia will never invade Europe as long as the UK, France and the US have nuclear weapons. China and the US will never go to war because both are nuclear-armed. Nuclear weapons don't deter terrorism because that's not their purpose. That's like asking "why doesn't my car toast bread well?" - nuclear weapons prevent state-on-state warfare. As designed. That being said, a state that supported and hid a terror group that used one could expect nuclear retaliation (so I guess it'd stop countries like Saudi Arabia, Iran and Qatar from directly sponsoring nuclear terrorism). It may be morally questionable to use nuclear weapons in retaliation for a nuclear attack - but its ethically essential. As if there were no repercussions for the aggressor, they'd be free to use their nuclear weapons again, in another first strike. We would be ethically bound to glass anyone who'd use nuclear weapons against us. That's how they work - it stops the first strike at all, because the aggressor would suffer catastrophically if they did.